Trezz pays homage to Tupac, Biggie and the gang from Ocean Shores. Los Angeles Clippers' big man Montrezl Harrell broke out two different custom Air Jordans Tuesday night in L.A., including a Tupac & Biggie-themed "Black Toe" Air Jordan XIV. 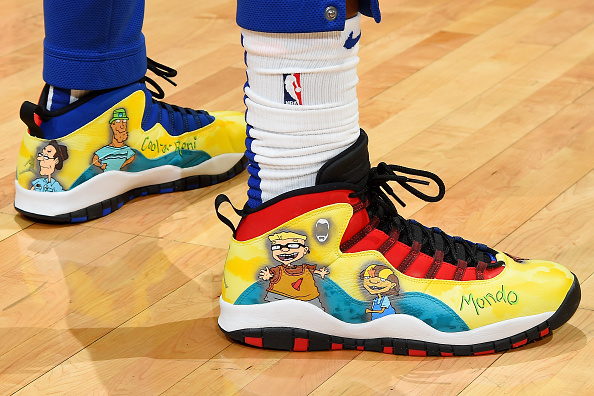 Harrell, who has rocked countless custom kicks throughout the season, started off the night in a special edition "Rocket Power" Air Jordan 10 featuring the whole Ocean Shores gang including Otto, Regina, Squid & Twister, as well as Raymundo and Merv Stimpleton. 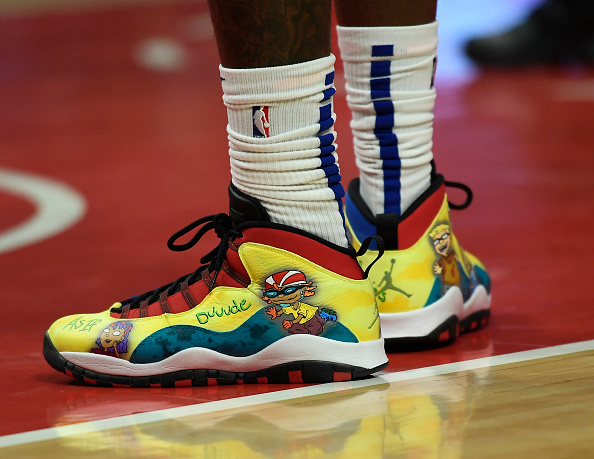 Trezz later swapped out the Rocket Power 10s for the Tupac 14s, as he led the Clippers with a team-high 22 points to go along with 11 rebounds and three assists. Despite winning the sneaker battle on the court, Harrell and the Clips fell to the Portland Trail Blazers by the final of 125-104. Los Angeles is now sitting at 39-30 for the season, which is still good enough for seventh in the Western Conference. Check out another angle of the "Rocket Power" 10s below, and keep your eyes peeled to see what Montrezl Harrell pulls out next.